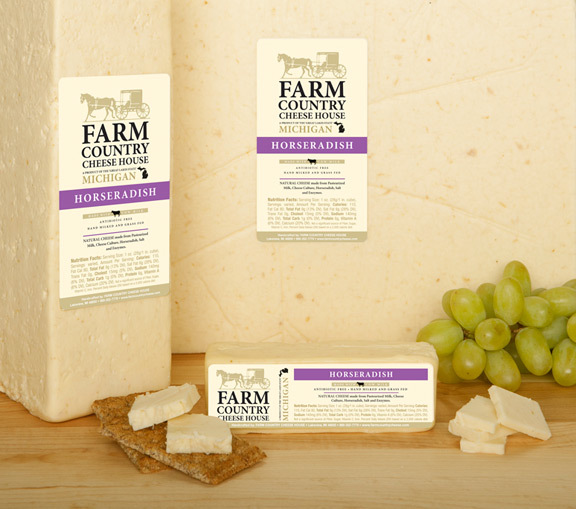 If you are a true horseradish lover, this cheese is for you. 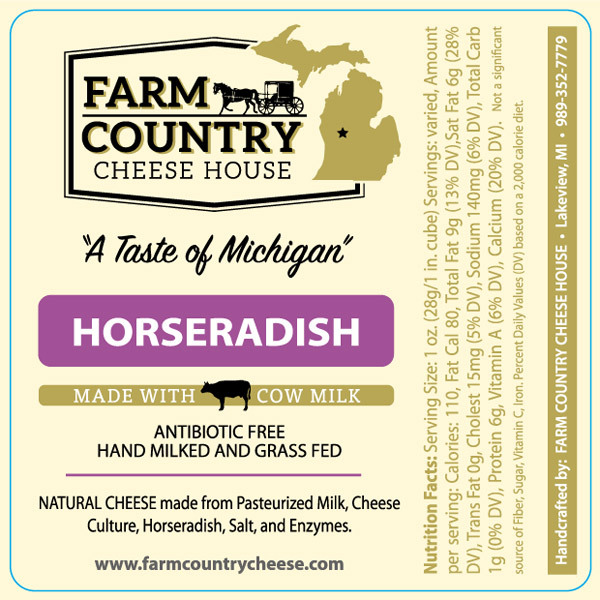 The potent bite of real horseradish root, is soothed by the pairing with our creamy Michigan Jack. Enjoy this rich cheese with a bite, but very little burn. Try it with our delicious cheese toast recipe.